This one is especially handy for your kid’s clothes. Children grow so fast that it doesn’t make much sense to spend $25 an outfit. Thrift stores offer name brand items, often with tags still attached, for much cheaper prices. Just spend a little time looking over the clothes for wear and tear, and remember, your kids will probably wear the items only a few times before it’s time to shop again. $2 per shirt is hard to pass up! If you see a shirt you just “must have” make sure it’s versatile. Spending $80 on a top better be worth it! Can you dress it up and down? Can you wear it to work and holiday events? How many bottoms do you have in your closet to compliment it? In the end, make sure the money you spend on just one item is worth it. Before reaching for that cozy cashmere sweater, make sure you know how to clean it. Skip the “dry clean only labels” because they will end up costing you more money during the life of the item. Instead, focus on high-quality staples that are low maintenance. Have a friend who is the same size? Maybe you guys can raid each other’s closets and do a bit of trading. Or many second-hand clothing stores offer cash for clothes in good condition. Consider selling your clothes and putting that cash towards a few fall trends. Speaking of trends, be sure you know what you are getting into. If trendy printed pants will set you back $95, it may not be worth the one-time expense. 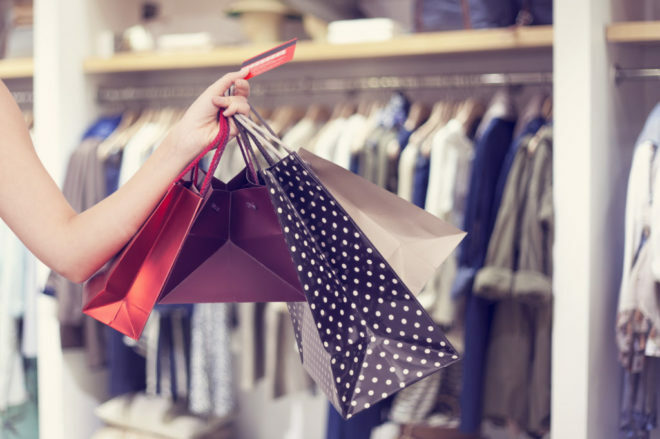 Trendy purchases are best made on sale because chances are the trendy clothes are little less versatile and might look dated in just a few months. Summer clothes are on sale right now! You can probably find amazing deals on swimsuits, shorts, tank tops and more. If your size doesn’t change much, you can probably estimate what to buy. It might be worth taking a guess for the kids too. If the clothes end up being too small by the summer you can gift them to another child in need. The experts at Broussard Poché, LLP also want to remind you that if you clean out those closets this fall, consider donating the clothes to charity. If you keep your receipts from an organization, like Goodwill, your donation is tax deductible.